User-generated content has become vital in a world where brands are increasingly building direct and transparent relationships with customers, according to the digital chief of Mecca. 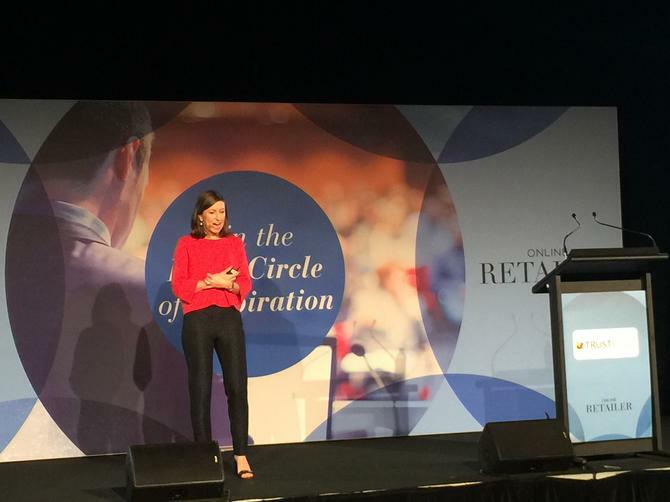 Speaking at the Online Retailers Conference 2016 in Sydney, the cosmetic retailer’s head of digital, Anna Stockley, said leveraging content produced by consumers, such as videos, images, social content, as well as ratings and reviews, is a key part of how the brand is driving customer engagement and authenticity. Stockley pointed out social media is transforming the market, with 3.5 billion people online and 2.5bn with social media accounts. For instance, Anastasia of Beverley Hills is one of the first brands that has grown purely via social, and is now valued at more than US$ 1 billion. “It’s showing brands are now forging those relationships directly with their customer,” Stockley said. Rather than place their trust in traditional advertising for product information, the next generation of consumers are more willing to trust strangers and their recommendations, she continued. “In fact, 90 per cent of people prefer brand recommendations from friends and 70 per cent believe in consumer opinions,” she said. As an example, Stockley noted one of the cosmetic brands its stocks, Urban Decay, experienced on a 230 per cent increase in the likelihood to convert online thanks to positive consumer reviews. When it comes to the moment of purchase, Stockley said UGC can help a brand be part of the sub-culture and community. The way Mecca does this on its website is to aggregate content from customers and showcase what people are contributing to the community. But it’s the post-purchase and advocacy cycle that Stockley suggested was the most important point of the customer journey to benefit from user-generated content. Stockley also pointed out the younger generation don’t connect with traditional beauty marketing methods of polished, inaccessible and retouched images. Instead, they’re looking for authentic imagery and stories. This was something recognised by L’Oreal in a recent study, which found simple ‘how to’ video tutorials had twice the number of click throughs than high-production, glossy advertisement.